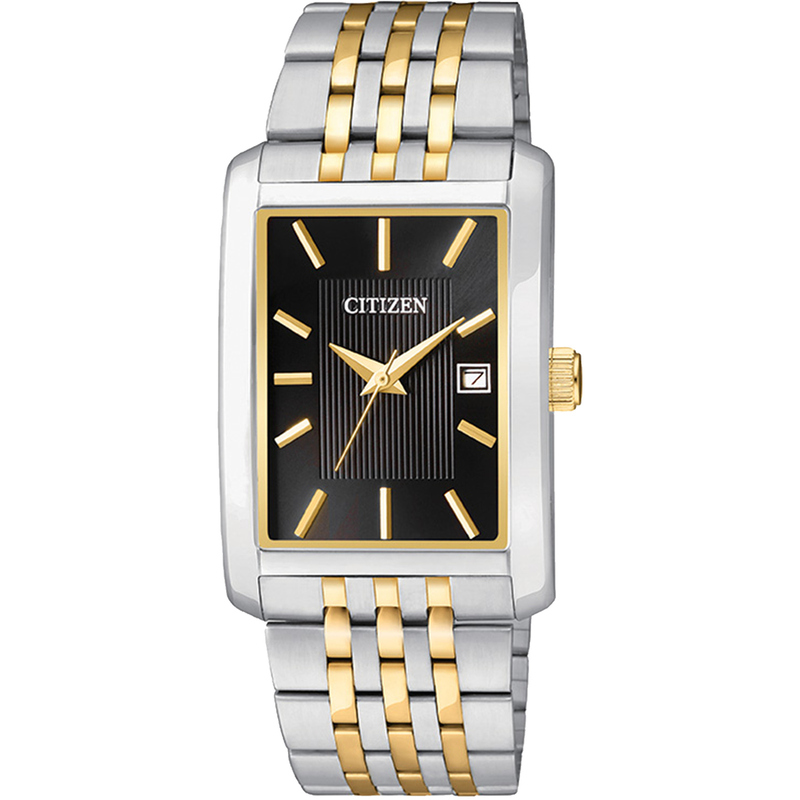 Citizen Men's Quartz two-tone stainless steel case and bracelet with black dial featuring date. Tank design measures 26 x 38mm. Features a Two-Tone Fold Over Clasp with Push Button. Water resistant to 30M.